The Family Toolkit for transition was created by and for parents and families. 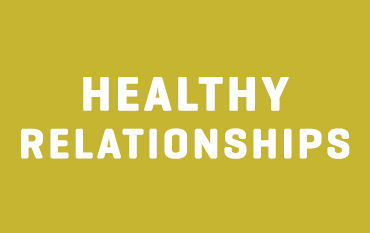 It contains resources to support families as they work with their youth to plan, prepare and transfer into adult health care. 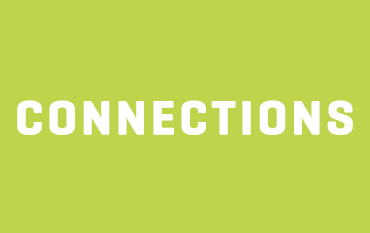 From questions about leaving pediatric care, to education, social networking, sexual health resources, and planning for the future, we have tips and resources to help you and your youth. Complete the mini or full checklist. The mini checklist is a 25 item version of the full Family Checklist. 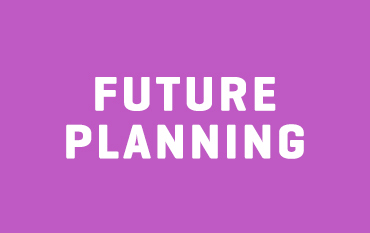 Use this tool to identify the priority items you and your youth need to plan and prepare for adult health care. Download the mini-checklist. Use the full Family Checklist to track the skills and information you and your youth need to plan and prepare for adult health care. 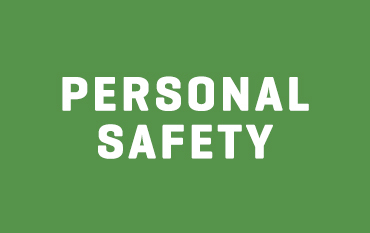 Each item on the Checklist links to an Activity Card with tips, videos, and other resources to help you and your family access the information you need. The Youth Quiz is designed for youth, by youth, and covers many of the same topics as the Family Checklist. It helps youth identify skills and knowledge to work on. Each item links to Activity Cards in the Youth Toolkit. 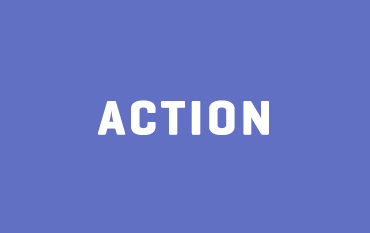 Click on an activity card for links to tips, tools, and videos to help you support yourth youth as they gain the skills and knowledge needed for adulthood and adult care. 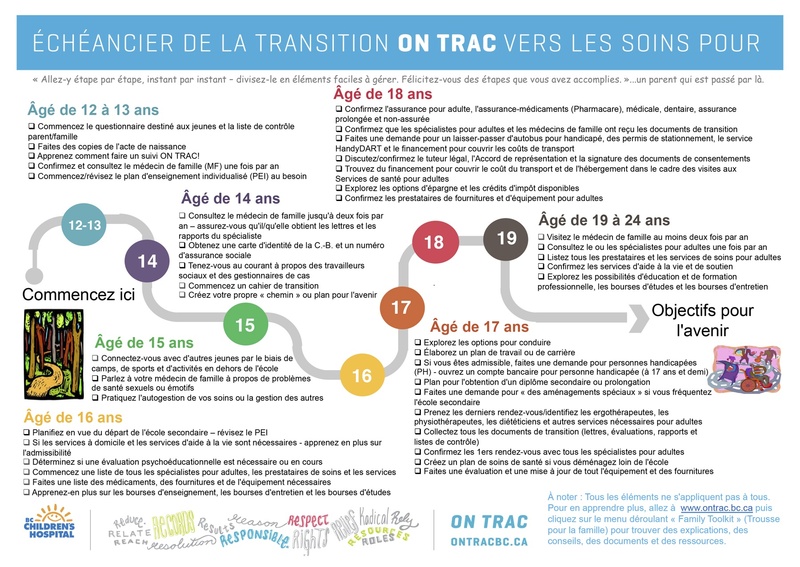 The ON TRAC Transition Timeline (available in English and French) provides a simple, one-page overview of what families can work on to prepare for transition, broken down year by year, starting at age 12. It was created in response to requests by families for an easy to use tool that summarizes transition information in one place. The timeline can be printed (on legal sized paper) and posted on your fridge or desk. Together with your youth, review the Transition Timeline each year. The timeline is also available in this Transition Brochure (English) which can be printed on 8.5" x 11" paper. 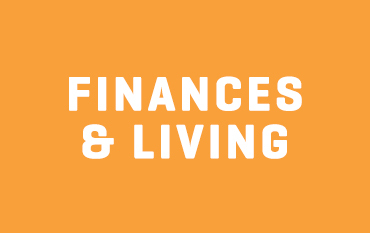 Items are linked directly to the Family Activity Cards for tips, videos, and resources with more information. 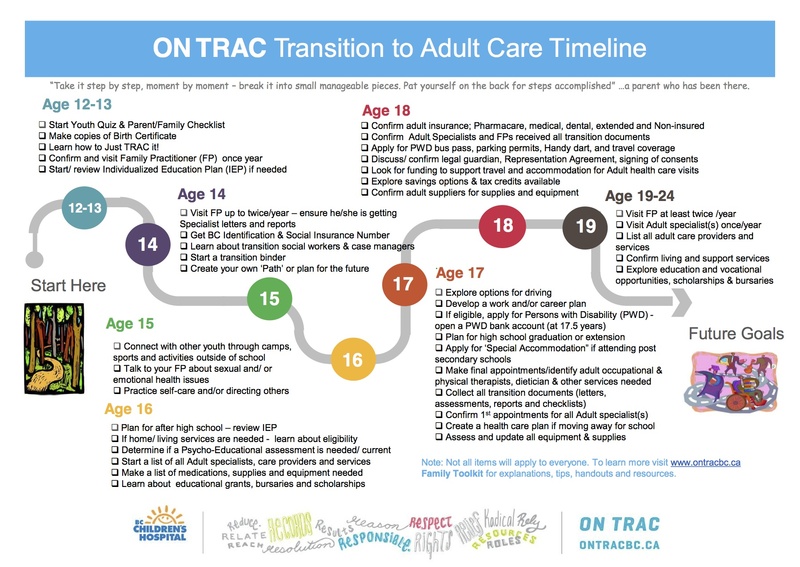 Over 100 parents, family members, and community organization leaders have shared their insights and vision for the ON TRAC transition model for BC. 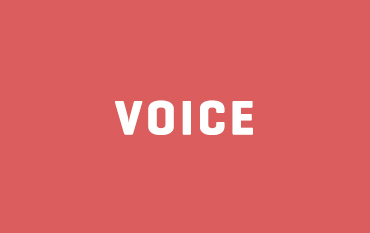 If you are a parent or family member, we value your ongoing direction and feedback - you can take an online survey here. 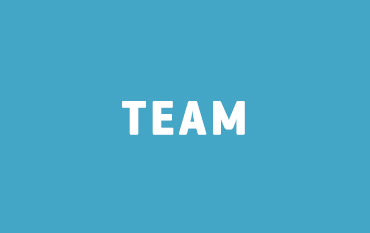 TEAM = who will be involved in your youth’s future care?